Smoke billows from Marawi’s rooftops. The Catholic Bishops in the Philippines, at the end of their episcopal Conference in Manila on Monday (10 July), have called for an end to the crisis in the southern city of Marawi (Mindanao), which, they say, “is not a conflict of religion”. “We heard and read truly amazing stories of how the Muslims protected us and helped Christians avoid an almost certain death. Now Christians are helping thousands of Muslims who have fled from Marawi. These are indisputable signs that there is no religious war,” they said in a statement. Agenzia Fides reports that “the Bishops, alongside Mindanao Islamic religious scholars and leaders, deplore the ‘violent extremist group of Maute in Marawi, who, swearing allegiance to Islam, contradicted the fundamental principles of Islam by abducting and killing innocent people'”. The Catholic priest Teresito “Chito” Suganob (seen here in a video) is being held hostage by the Maute group. The Bishops make no mention of members of their church who have been held hostage by the IS-affiliated group since it started besieging Marawi on 23 May. 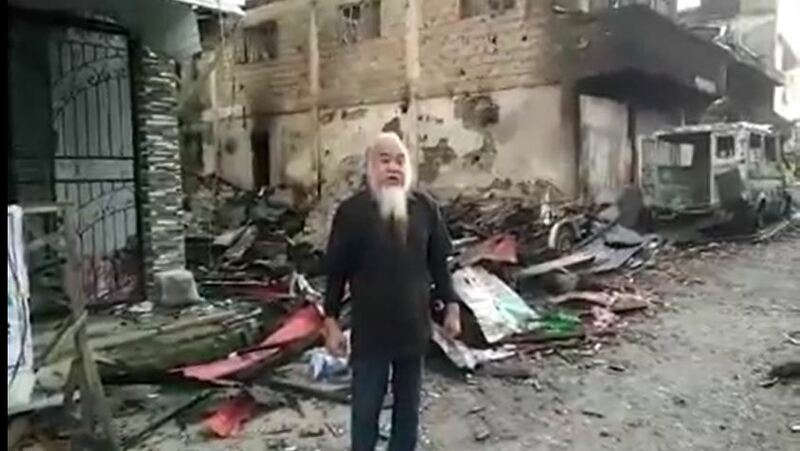 Among them is the Catholic priest Teresito “Chito” Suganob, who was captured together with a number of others when the militants invaded his cathedral in Marawi. He has since then been seen alive and the Maute group have offered his release in exchange for the parents of their leader, Abdullah Maute. Earlier the Catholic bishop in Marawi, Bishop Edwin de la Pena, made it clear that he will not negotiate for the release of his priest, Fr Suganob, as he dismissed the idea as “ridiculous”. Speaking at a gathering of church members in the northern province of Pangasinan, Bishop Edwin de La Pena said “there is no way we can dialogue” with extremists and that “we can only dialogue with like-minded people”, the Catholic news agency UCAN reports. His statement is in line with the position of the Philippines government, which has said that it does not want to deal with terrorists. However, speaking to Agenzia Fides, the Bishop is quoted as saying that he is hoping for negotiations to take place “with an inclusive approach, which is supported by civil society in Mindanao”. 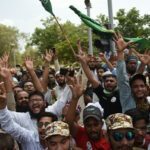 The Bishop-Ulama Conference, a group of Christian and Muslim leaders, suggested to the government to take “an inclusive approach to resolve the crisis, involving Islamic leaders and placing them in the forefront of negotiations”. Fides also reports that in different parts of the Philippines interreligious initiatives have started. In Cebu, for example, an island north of Mindanao, “Muslim communities have invited people of different faiths to ‘respect and love each other’ to promote peace”. Also, the Church and local Islamic leaders held an interreligious prayer meeting in the Basilica of the Holy Nine in Cebu city. Meanwhile, in Quezon City, Manila, an estimated 800km north of Cebu Island, at least a thousand Muslims and Christians gathered to pray together in a show of unity at noon on 7 July. In a surprise turn of events last week the Philippines’ largest Muslim rebel group backed a fatwa – an Islamic legal ruling – against violent extremism issued by a senior Islamic religious leader in the troubled southern region of Mindanao. Sheikh Abehuraira Abdulrahman Udasan, mufti of the influential Bangsamoro House of Opinion in Mindanao, warned of “an urgent need to fight violent extremism or radicalism, in compliance with the injunction of the Quran and the prophetic tradition”. Islam arrived in the Philippines before Christianity, in the 13th and 14th centuries, and Catholicism arrived with the Spanish in the 1500s. Mindanao, where Marawi is located, remained largely Muslim and “its religious balance was tipped in favour of Christianity only due to resettlement programs started during the US colonial period in the early part of the 20th century, and accelerated after World War II”, according to a Reuters’ article. The article describes how Muslims in the south of the island do not consider themselves Filipino and how they are deeply suspicious of US activities there, noting that “signs reading ‘US troops out’ are dotted around Marawi”. Marawi’s residents are fleeing a town that was once peaceful and prosperous. In 1980 Marawi proclaimed itself an “Islamic City” and it is the only city in the country with that designation. Catholics account for around 1 per cent of its 180,000 population, but life in the city was until recently peaceful and prosperous, as Muslims and Christians lived together in harmony, according to Bishop Edwin de la Pena; it was a place where, in addition to Christian festivals such as Easter and Christmas, schools in the city got the entire month of Ramadan off, and where Father Suganob’s modest cathedral did not have a cross outside as “people here don’t want a large symbol”, the priest was quoted as saying.